Ad in the Free Press – “Wanted – Dump Trucks for Hire, All Sizes – for hauling crushed stone to the Toronto area”. Nelson Crushed Stone Ltd. Burlington Ont. Free Press editor and publisher Bill Cranston in an address to the Barrie Kiwanis Club explained the connection between the Free Press Herald and Barrie. 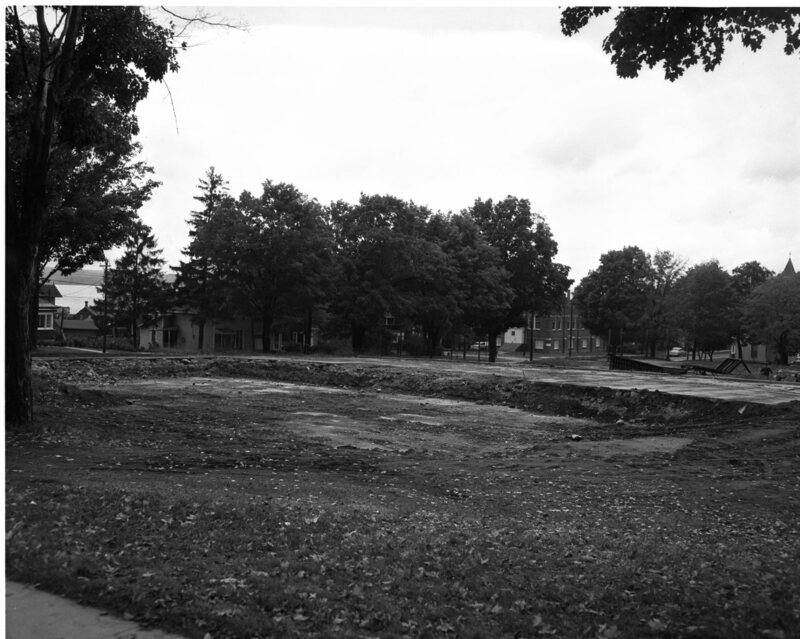 In 1917 the Midland paper was incorporated and the proprietor of the Barrie Gazzete at the time, Alfred Wilkes, along with his printing equipment, became the first editor and manager. They’ve held the reins for years. 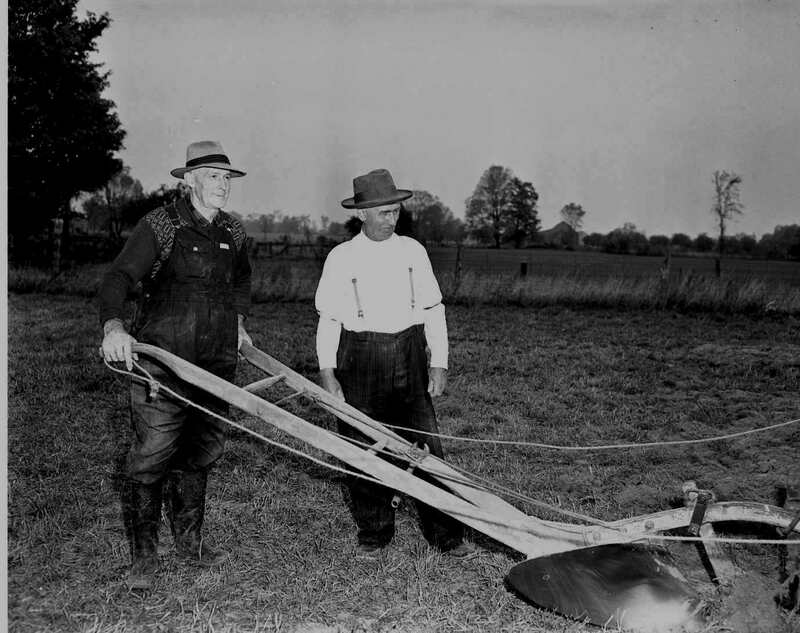 Two veterans of farm and municipal life contemplate the results of their work at the annual West Central Simcoe Plowing Match near Wyevale, Walter Middleton reeve of Flos and Arthur Downer, Reeve of Tiny. 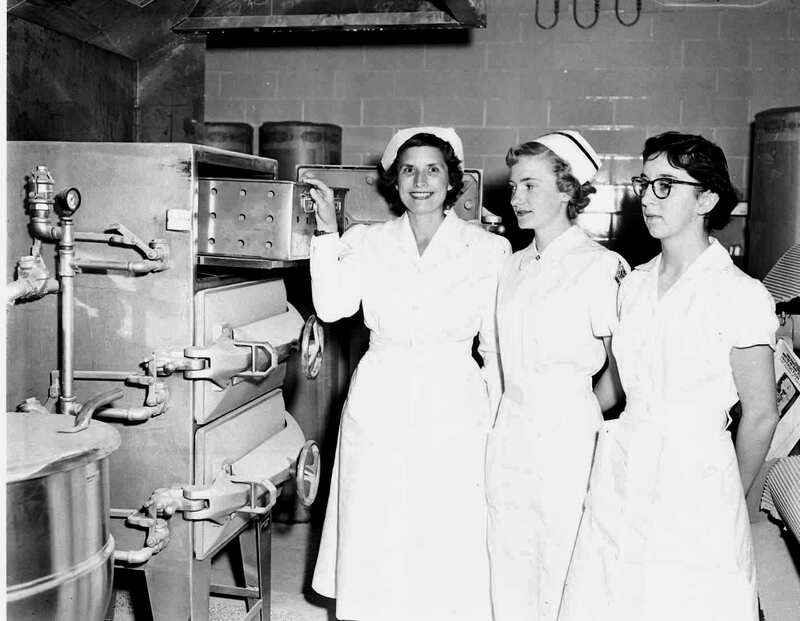 Trio joins St. Andrew’s Hospital staff, shown beside a new piece of kitchen equipment. Mrs. Elizabeth Outerbridge dietician, Miss Margaret Heasman physical and occupational therapist, Miss Muriel Carr, laboratory technician. Miss Heasman is the daughter of Mr. & Mrs. J. P. Heasman and was born in Elmvale, attended Evergreen School and MHS, graduating in 1952, she attended the University of Toronto for three years. achieving honours standing every year and finishing top of her class. 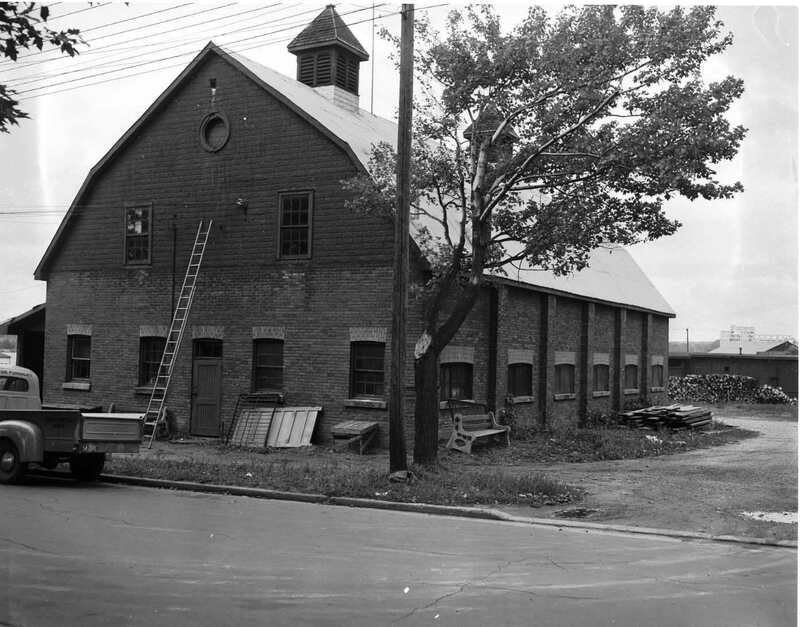 Former Pratt barn at the corner of Bay and Queen streets is being renovated to serve as the headquarters for Midland Police , fire and public works departments. 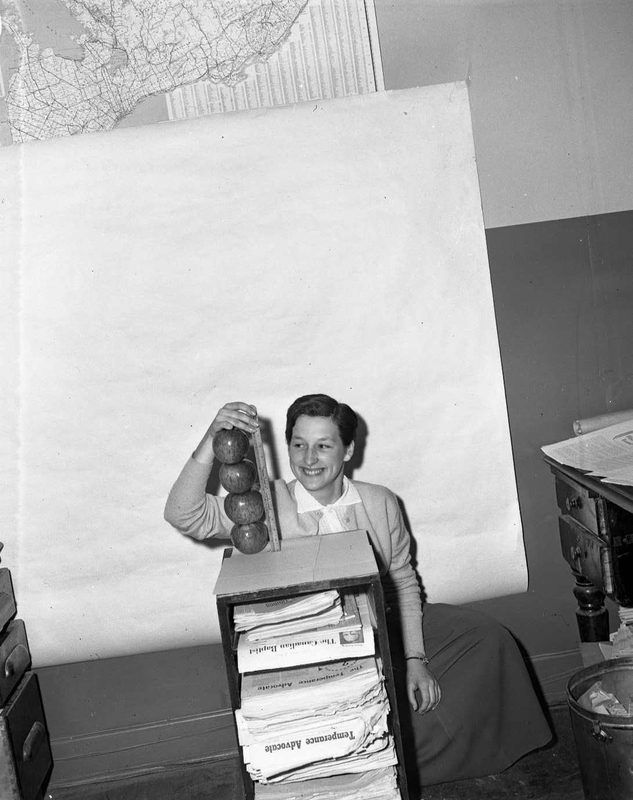 It will be the permanent home of the public works when police and fire move to the new municipal building being constructed on Dominion Ave.
Free Press staff member Anita Fournier of Penetanguishene with four St. Lawrence apples grown by Milton Barr on the 4th Concession of Medonte. It has been an excellent year for all types of tree fruits. would, the miss heasman in the photo become the wife of chris Thompson a wonderful teacher at mpdhs/mss??? ?